The hops shortage that hit the brewing industry 10 years ago could not have come at a worse time for smaller American brewers—stipulating that it’s never a great time for the industry to run short on its signature bittering and aroma agent, but it also ended up having a positive side effect. The number of breweries and brewpubs in 2007 had passed 1,500 for the first time in five years, according to the Brewers Association, a milestone in a march back from the brink. At the turn of the century, myriad forces had combined to reduce the number of smaller, more traditional and independently owned breweries nationwide. These forces included unbelievably bad press, some not-so-dedicated entrants with iffy offerings quality-wise, a distribution squeeze from much bigger breweries, in-fighting among the smaller ranks, and a general economic recession. Then, as the 2000s moved along, the number of smaller breweries and brewpubs gradually increased, as did their fan base. From 2004 through 2007, smaller brewers’ dollar sales increased 58 percent, according to the BA. These brewers’ products still comprised a relatively tiny share of the overall domestic beer market, but the signs were pointing in a very healthy direction. Then the hops shortage threatened to derail everything, or at least to gum up the works a bit. The roots of the shortage stretched back to the early 1990s and the beginning of a run of bumper crops every year. 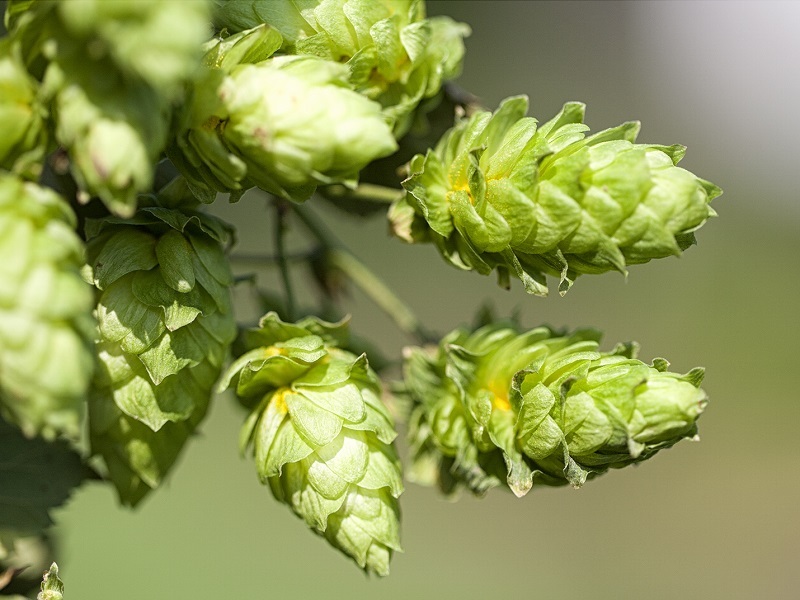 Before long, there was an oversupply of available hop and hop products such as extracts; and prices, already low, became so low as to not be worth it for some hop growers. These farmers began selling off their hop acreage or converting it to more remunerative agricultural uses. By 2006, worldwide hop acreage was less than half what it was about 15 years before. Then came some near-biblically bad weather in Europe and a warehouse fire in Washington state, and the crunch was on in 2007 and heading into 2008. Those smaller—and bigger—breweries that had long-term contracts with producers weathered the storm fairly fine. Those without such built-in deals found the going tougher, and some altered recipes accordingly. Many breweries, including those with contracts, raised the prices on hop-forward brands and/or introduced more malty creations. The Boston Beer Co. tried to fill the void a bit, selling tens of thousands of pounds of its own hops at below-market prices; the first round of bidding in March 2008 drew 212 brewers. Really, though, it wasn’t until beefier yields started rolling in beginning in 2009 that the hops market stabilized. The anxiety and the challenges of 2007 and 2008 did have a least one silver lining for smaller breweries: the media coverage. In particular, consumer media that might not have otherwise covered them much at all at the time—major newspapers, public radio, financial websites, lifestyle magazines—dove right into the hops shortage, dutifully explaining to millions of eyeballs and ears the roles hops played in beer and how these smaller operations used so much more of them to make their tasty wares. It’s never been quantified, and probably could never have been, but the coverage probably helped along the sector’s rise that much more. Maybe, then, the shortage couldn’t have struck at a better time. And maybe it’s all happening again?